The Learjet is a very efficient and cost effective jet that is capable of flying worldwide. 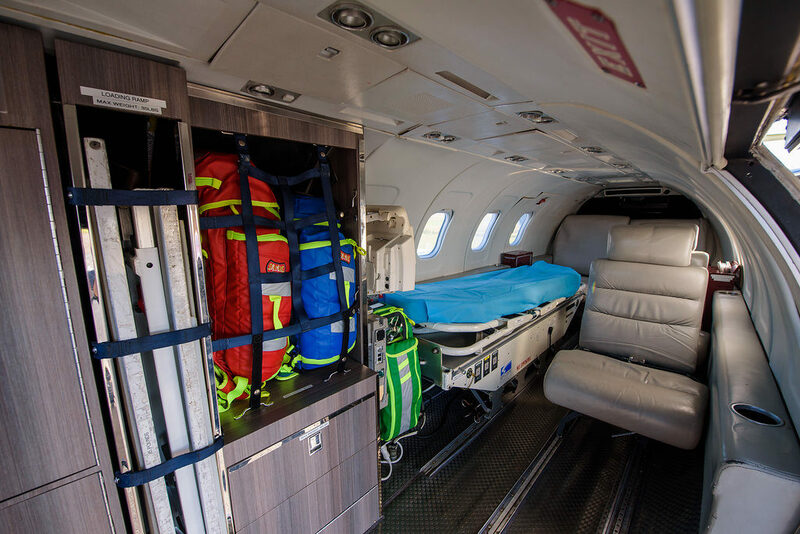 Each dedicated air ambulance Learjet has is configured to carry one full stretcher, two medical staff and one to two traveling companions. With an altitude ceiling of nearly 41,000 feet, the Learjet 35 has a range of up to 1,700 (SM) statute miles while the Learjet 36 has a range of up to 2,200 (SM) statute miles. The range of the Learjet 36 makes it the most cost efficient aircraft that can assist with transfers between Hawaii and the United States.